This is an exciting time to be working in the field of prospect research. Gone are the days of phone books and trips to the library to review microfiche. Never before have we had so much data available to us, and the list of resources is constantly growing. New products and methods increase the ease with which we gather prospect data and its accuracy. But, as we all know, these tools do not come cheap. With most nonprofits having limited resources, convincing your leadership to spend five, 10, even 15,000 dollars per year on research tools can be a hard sell. So how do we make the case to our leadership for dedicating these financial resources? I am fortunate that my chief advancement officer, Paul Edwards, is an industry expert who is a firm believer in the value of prospect research. In the following interview, we will discuss how to articulate the value of prospect research and why it is worthwhile to commit your organization’s dollars to these essential tools. What do you believe prospect research does for frontline fundraising? Edwards: Prospect research adds three things. First, it adds substance to speculation, detailing what we know so that we can ask the question, “What don’t we know?” Great prospect cultivation occurs as a result of asking that question rather than using time to reconfirm things we already know. Second, prospect research sharpens our ability to ask at capacity. It’s relatively easy to get a “yes” when we under-ask or generically ask. Good research lets us ask precisely and at the prospect’s capacity level. Third, prospect research creates confidence for the frontline fundraiser. They can have exploratory conversations that are anchored in facts and not wishful thinking. The fundraiser will ask “so what?” to the “what” that the researcher provided. In your experience, how high do you feel the return on investment (ROI) is for paid research tools? Good major gifts fundraising has a standard ROI of 8:1, that is $8 raised for every dollar spent, including investment in the major gifts officer, benefits and support including prospect research. If you take out the prospect research, the ROI drops to 6:1 or even 5:1. When you drop out prospect research, you reduce the efficiency for every frontline fundraiser. What do you think is the most effective way to demonstrate ROI to senior leadership? There are two ways to demonstrate ROI, the first being to walk a senior leader through the content of a prospect profile and show how that data translates into a major gift proposal. Second, compare the results of major gifts fundraising over numerous years for those prospects for whom profiles have been created and those for whom profiles have not. Using a dozen or so, this should demonstrate the effect the research has on cultivation success. Any additional thoughts for making the case for these resources? I started fundraising 39 years ago and at the time, research was old school. It was done by the fundraiser and it meant physically going to the town hall and the assessor’s office and requesting documents, deeds and other records. You went to the library and asked the reference librarian for genealogies, and you read Moody’s and the business journals. Sometimes it even meant purchasing a single share of stock in a prospect’s public company in order to receive shareholder reports. Back then, frontline fundraisers were kept from asking because they had to spend all of this time researching. These tools gather the information for you and are an astonishing improvement to efficiency. 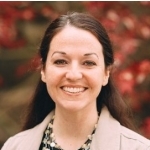 Anne Givens is the assistant director of advancement research at Gordon College. She has been working in higher education finance for 17 years. Starting in accounting, she transitioned to advancement operations and prospect research four years ago. Filled with innate curiosity, she feels she has found her true calling and passion in the research field. Paul Edwards is the chief advancement officer and senior vice president at Gordon College. He has extensive experience in all facets of nonprofit organization management and fundraising, including his recent direction of a 10-year, $1 billion campaign for Wycliffe Bible Translators. In addition to securing major gifts, Paul has trained the staff and boards of 90 domestic and international nonprofits, including Duke University, Yale University, Princeton University, UC Berkeley, the American Red Cross, Brigham and Women’s Hospital, and New England Medical Center, to name just a few. For more on research’s value, check out the Apra webinar Using Data for Metrics, Measurement: Promoting the Value of Research, presented by Josh Birkholz and Bentz Whaley Flessner.